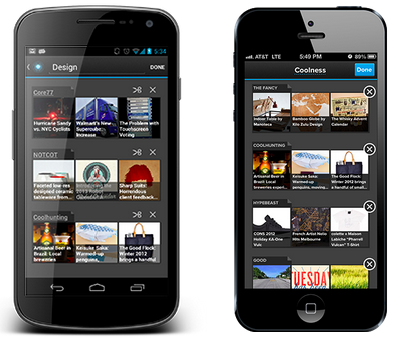 Pulse, the popular mobile news-reading app, just launched version 3.0 of its apps for both iOS and Android. The update brings a new, much sleeker design to the apps, but most importantly, it introduces a number of the features that the service’s users have long been asking for. New in Pulse 3.0, for example, is the ability to pin as many sites and feeds to a page as you want. Until now, the number of feeds per page was limited, which often made the app a bit hard to use for those of us who try to keep up with a large number of feeds. Similarly, you can now just keep scrolling through your sources’ stories now that Pulse has added infinite scrolling to the app, too. You can also customize your pages a bit more by renaming them, reordering your sources and removing them quickly. 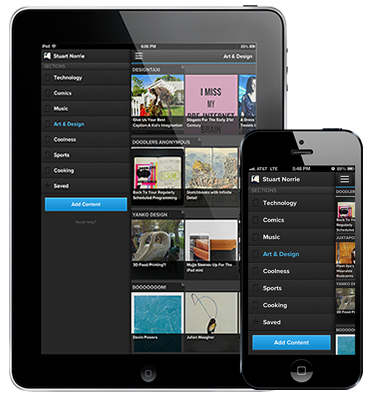 By adding a new sidebar, Pulse also made some changes to how you navigate inside the app. You just swipe left to right or click the menu icon in the top-left side of the screen and the new navigation sidebar appears. Also new is an updated search feature that lets you search Google, Tumblr, YouTube, Reddit, Facebook, Flickr, Blekko and other services right from within the app.